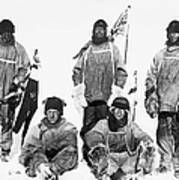 There are no comments for Robert Falcon Scott. Click here to post the first comment. ROBERT FALCON SCOTT (1868-1912). 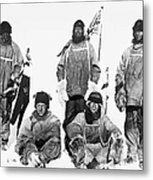 English Antarctic explorer. 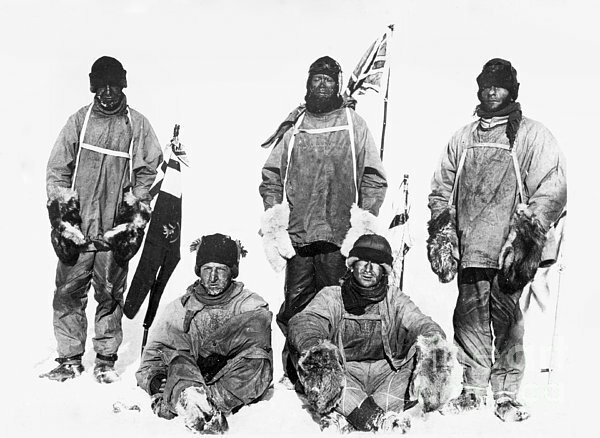 Scott and his companions on the Terra Nova expedition at the South Pole in January 1912. 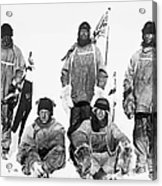 Left to right: Captain Lawrence Oates, Lt. Henry R. Bowers, Robert F. Scott, Dr. Edward A. Wilson, Petty Officer Edgar Evans.